Data collection: our careers revolve around it. We use numbers to determine everything from eligibility and goals, to therapy methods and billing. However, these little numbers can cause big stress. There’s so much data to track that we’re always on the hunt for the best and quickest data collection options to keep these numbers from piling up and bogging us down. So what choices do we have when it comes to data tracking? Which one is the best for you? 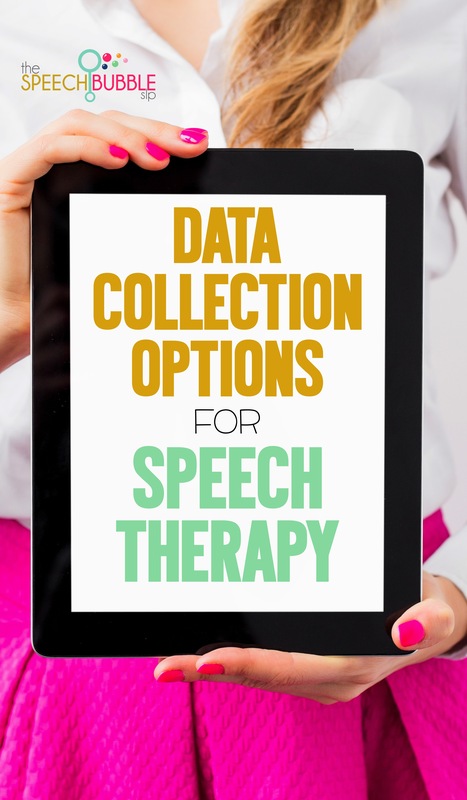 Here’s what you need to know about the top three data collection options for speech therapy. 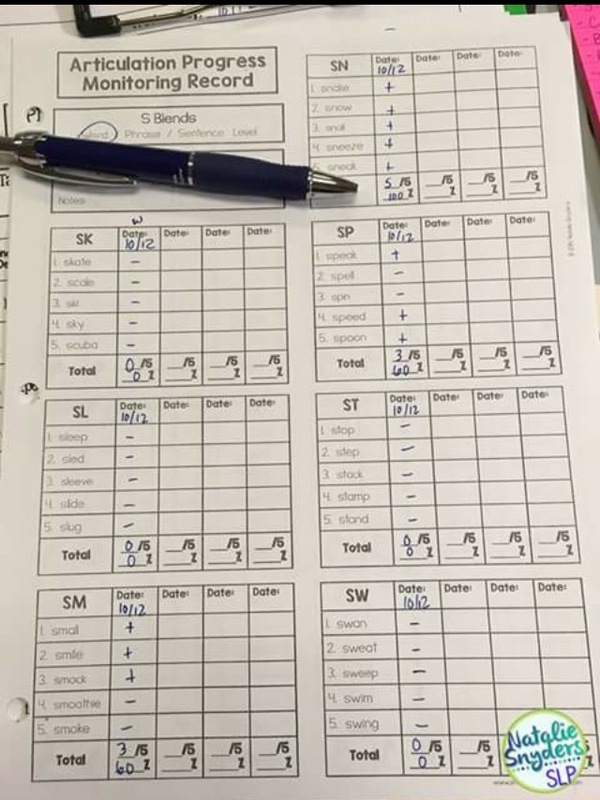 Tallies are the most traditional of all data collection options, and the one that most SLPs are comfortable with. I think this has to do a lot with the fact that this is the method generally taught in graduate school. Since new SLPs usually haven’t been exposed to other data collection options, they just roll with what they know. Nothing wrong with that. 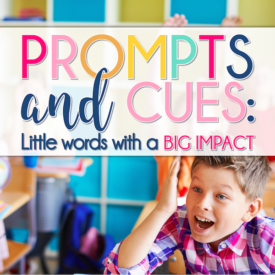 So… tally marks, dashes, pluses and minuses, or however you like to track correct and incorrect productions and responses — to use this method, simply mark it all down. Do some quick math to find your percentage of accuracy for that goal. Is this effective? Yes, but not so efficient. 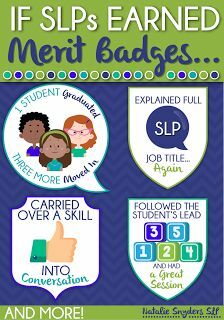 Even though you’re just counting, it can take a lot of time to count all of those little marks for all the goals you targeted for all of your students. Even if you do it immediately after seeing them, it can still put you in a time crunch and leave you feeling stressed. This type of data collection is best for concrete, easy to measure goals. Objectives that have a clear yes or no outcome. Use counters to track responses. Make yourself a number chart from 1-100. Then you can just following along with their productions or responses and slash through the incorrect ones. 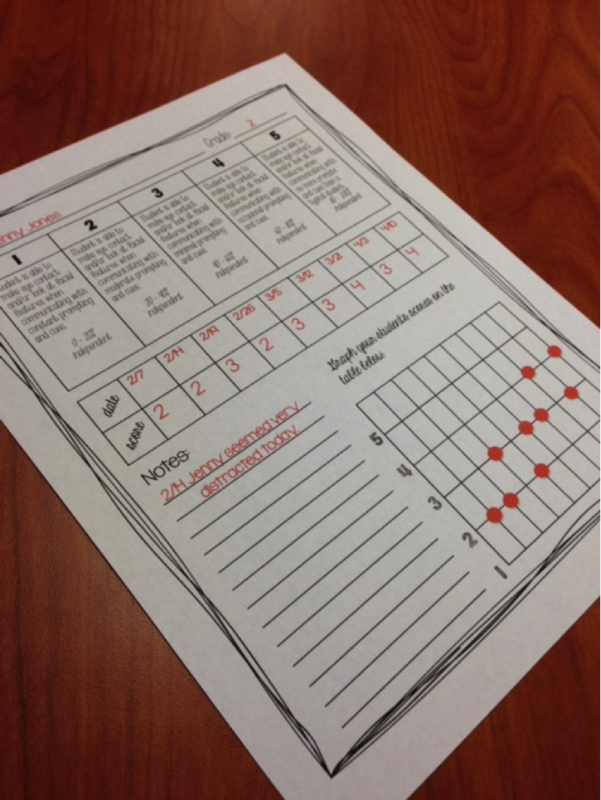 I have a FREEBIE with this format in my store that I use for articulation data. You can check out the post about it HERE. If you like your pluses and minuses but hate the paper aspect of data collection, check out IEP PAL. Rubrics are a quick and handy way to take data on just about any goal, but they’re especially great for hard to quantify, subjective-ish goals (aka social language goals). Using a rubric allows some flexibility in data collections, where using tally marks is pretty ridgid. 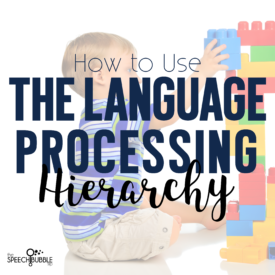 Let’s face it — not all language growth can be tracked with a plus or minus. If you’ve ever tried to take tallies on making expected comments in a classroom setting, then you know what I mean. Sure, you can try, but we can’t be there for every comment made in class, and the teacher sure doesn’t have time to take data for us to review. Rubrics allow you to quantify your observations and track the impressions of others. 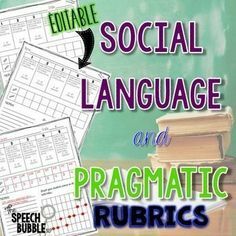 I started using rubrics a few years ago for my pragmatic and other language goals and never looked back! Rubrics allow you to set ranges and levels to help track progress. I use a 1-5 scale, with each number having an assigned percentile range. A 5 is equal to 80%-100%. I also have a short written description of what a 5 looks like. 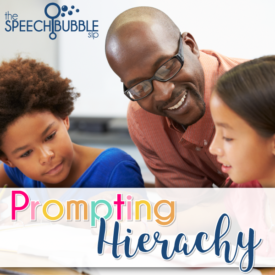 Depending on the goal it may mean that to earn a 5, the student uses the skill with no more prompts than a general education classmate may need. Rubrics are also a great choice to use if you are working on carryover or require teacher input. Teachers use rubrics all the time and are comfortable using these measures. 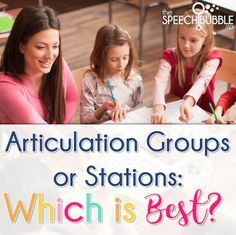 Having something for them to look at that describes how the student may be demonstrating the skill and what rating that is tied to is a lot easier for them than simply asking, “What do you think?. Rubrics are also typically easy for parents to understand. Sometimes traditional data can be confusing, especially if you are taking it for different levels on the same goals: e.g. percentage of accuracy with modeling, percentage of accuracy with one prompts, percentage of accuracy independently, etc … See how that can get overwhelming really fast? 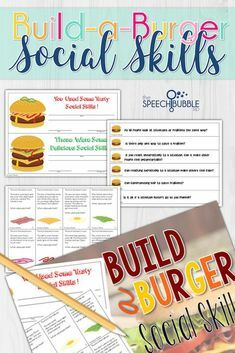 Great for social language goals, hard to quantify goals, monitoring student carryover, etc. 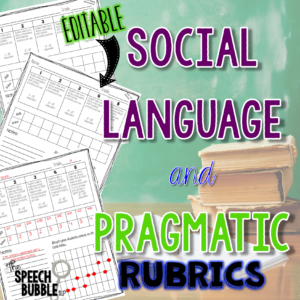 You can read more about how to use rubrics HERE. You can also check out the different rubrics available for data tracking HERE. So before you say it, yes, data tracking is progress monitoring, but that isn’t exactly what I am referring to here. I am talking about taking data at specific check points during your quarter/trimester/year, rather than at every session or even every week. While you’re still taking data, it can almost feel taboo because you’re not taking data as frequently. You still get information and can still track growth but not stress about documenting every single session. Some people choose to take data once or twice a quarter to track progress. Since IEP goals are written for a year, 4-8 data points provide enough of a trend line to see longterm progress. 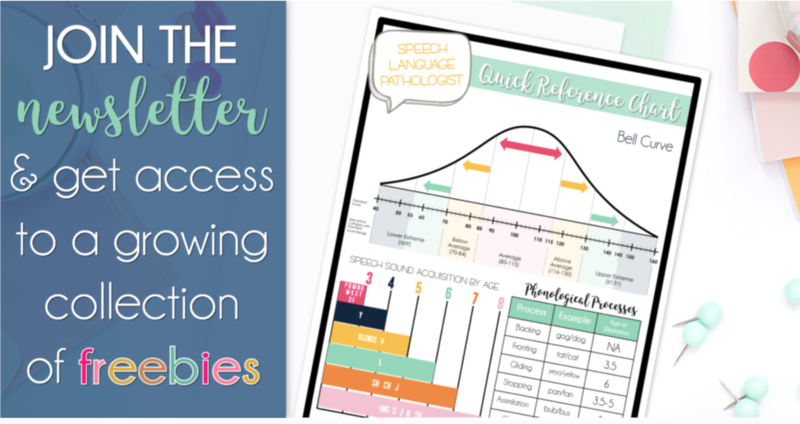 Using the progress monitoring approach also means that you have more time to focus on therapy and your students, rather than on counting their productions. A lot of SLPs like this approach since they can think more about their clients and therapy, rather than stress about collecting data each session. Progress monitoring may be worth considering if you have a large caseload and may only be getting each student a few trials per session due to group size. 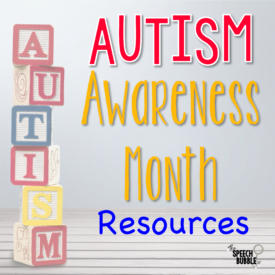 You can read more about progress monitoring in this post from Natalie Snyders. She also offers a very comprehensive line of progress monitoring tools you can checkout HERE. 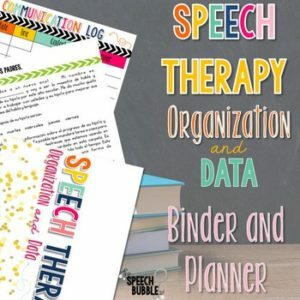 If you are more of a digital person, SLP ToolKit is a cool new player in the realm of digital data collection options. 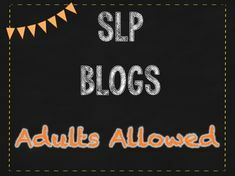 Use SLP ToolKit on any device (computer, tablet, or smartphone). It has criterion referenced tests to help you track progress. You can learn more about them HERE. 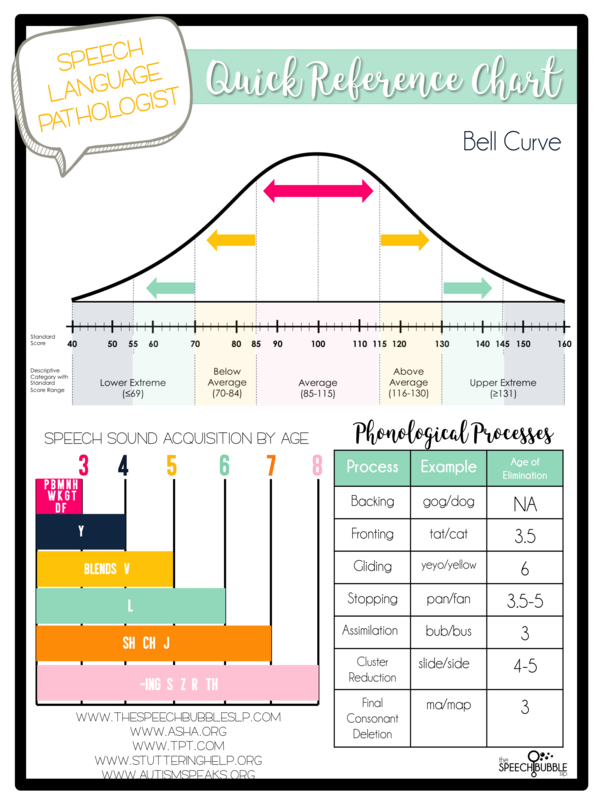 These are just a few of the data collection options available to you as an SLP. It takes time to find what will work for you and your style. Don’t be afraid to try different methods or even combinations until you find what is going to work. 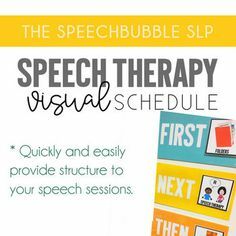 I’ve always wondered how they would keep track of progress with something like speech therapy. It makes sense that a defined rubric would make things easier! That way they could see what’s expected of them as well as how they have done in the past. I love your ideas and that you share them. So much better that all of use floundering and trying to develop On our own. Hi! 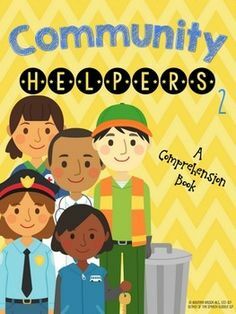 Do you know of any reading/listening comprehension short passages that measure 1 skill at a time, (a few times) and are grade specific? This way I feel like I’m measuring apples to apples? Thanks! 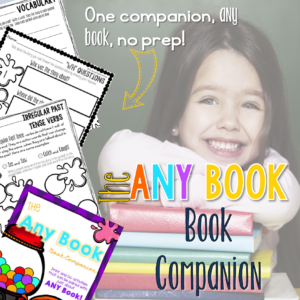 I have some reading comprehension screenings that you may find helpful.